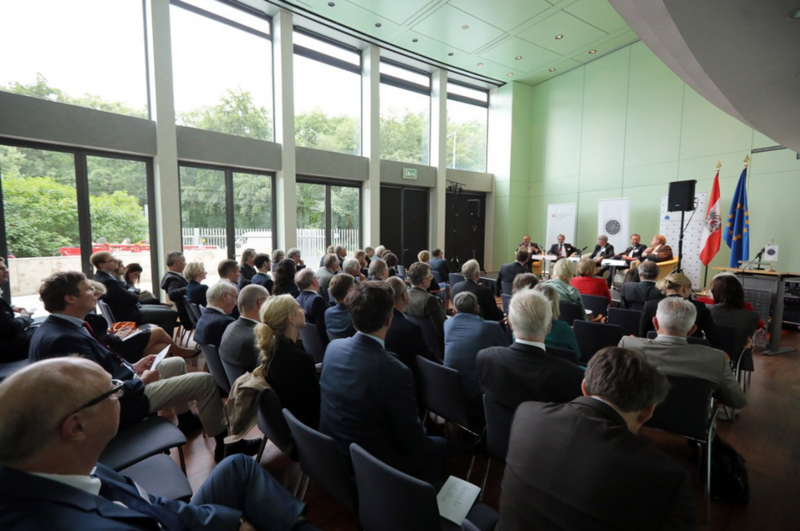 As part of our project „Next Europe“, we organised in cooperation with the Aspen Institute Germany and the Austrian Embassy Berlin a conference at the embassy, focussing on the topics „European Governance“ and „digital transformation“. After the welcome addresses by Ambassador Dr. Nikolaus Marschik and Prof. Dr. Dr.h.c. Felix Unger, President of the European Academy of Sciences and Arts, Mr. Elmar Brok – member and former chairman of the foreign committee of the European Parliament – opened the conference with a key note speech. In the first panel, – moderated by Bettina Vestring (Managing Director, United Europe) – Elmar Brok, Bernd Hüttemann (Secretary Genral Europäische Bewegung Deutschland), Prof. Dr. Peter Jambrek (Euroepan Faculty of Law, Nova Univerza, Ljubljana) and Prof. em. DDr. Heinz Mayer (former dean of the Faculty of Law, University of Vienna) discussed governmental and constitutional issues in the Europen Union. In the second panel – moderated by Cornelius Wendel (founder Policynavigation), Tyson Barker (Program Director Aspen Institute Germany), Prof. em. Dr. Klaus Klaus Mainzer (Emeritus of Excellence, Technical University Munich), Madeleine Gummer von Mohl (co-founder Betahaus) and Prof. em. Dr. Ernst Ulrich von Weizsäcker (co-president Club of Rome and former President of the environment committee of the German Bundestag) discussed how digital transformation will challenge Europe’s economy and society. The conference was closed with a final statement by Mag. Richard Kühnel (representation of the European Commission in Germany). We would like to thank our host – the Austrian Embassy Berlin, and our co-organizer The Aspen Institute Germany.